The Terrifics disband, but they're going to need to get back together if they're going to save Mr. 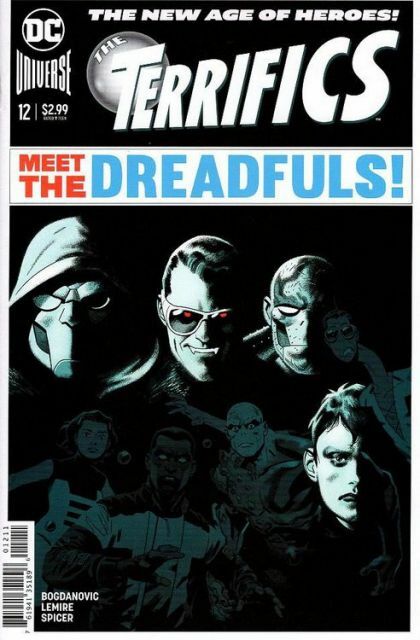 Terrific from Doc Dread's new team, the Dreadfuls! Plus, Rex Mason takes a huge plunge, Phantom Girl bolts Bgztl and Plastic Man stretches out the family drama with his son Luke, who's struggling with his own super-elastic powers. Will our heroes reunite in time to save Mr. Terrific-from an evil version of themselves? !